The coconut cream will caramelize during cooking, leaving sweet brown flecks in the rice. Coconuts are packed with healthy fats. They are also great for skin and hair health because of their high levels of the antioxidant vitamin E.
Whisk coconut milk and water together until smooth. Set aside. Wash the rice in three to four changes of water until the water runs clear. Drain and set aside. In a medium saucepan, warm ghee over medium heat until shimmering. Add the cinnamon stick and cardamom pod and cook for a few seconds, until fragrant. Now add the drained rice, stirring gently until any water on the grains has evaporated and the grains start to sizzle and snap a little at you. The rice should also give off a lovely, toasty aroma at this point. Pour in the coconut milk-water mixture and ¹/₂ teaspoon salt. Stir well, bring to a boil, then cover, turn down heat to low, and cook 12-15 minutes. Remove from heat. Pull the lid off and lay a clean kitchen towel over the saucepan and cover again with the lid. 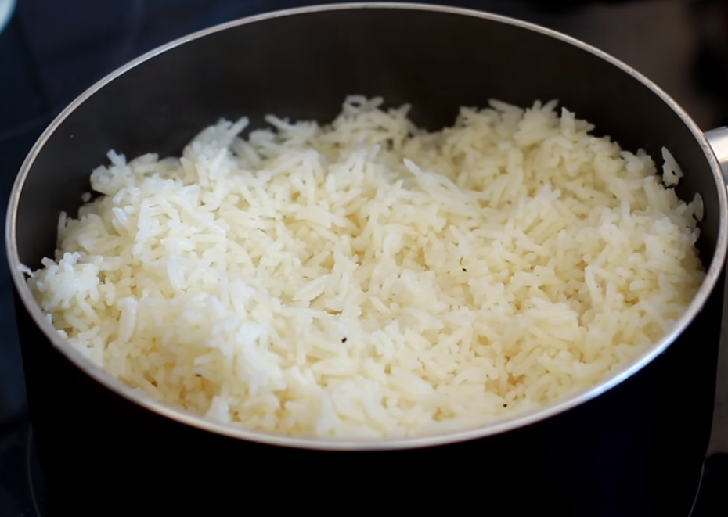 Let the rice gently steam for 5 minutes (this is the secret to fluffy rice!). Serve, pulling out whole spices (cinnamon and cardamom) if you wish.